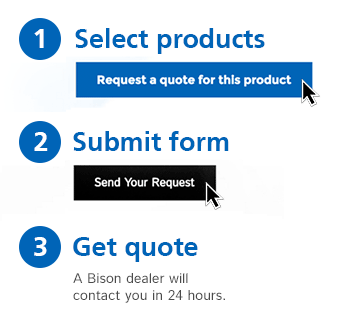 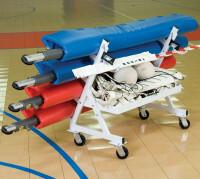 Transport & Storage - Bison, Inc.
Keeping your volleyball systems in the best condition includes a transport and storage system that fits your facility’s needs. 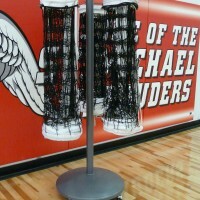 Net winders for one to three nets keep them off the ground. 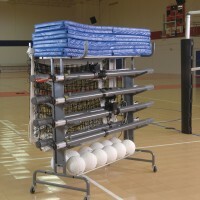 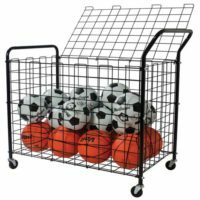 Gymnasiums with multiple volleyball courts may require a four-post, six-post, or eight-post transport cart that can carry nets, balls, padding, and other accessories safely from practice and games to the storage closet. 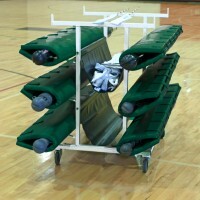 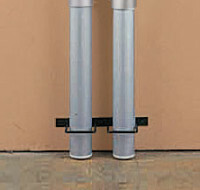 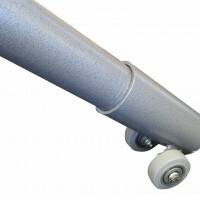 Wall racks and rolling pole caddies are low cost solutions.